SPRINGFIELD – Rep. Norine Hammond (R-Macomb) joined more than a half dozen of her colleagues on Tuesday at a Press Conference announcing her support for Stopgap Higher Education funding utilizing the Educational Assistance Fund (EAF) as a temporary funding source until a budget is passed. 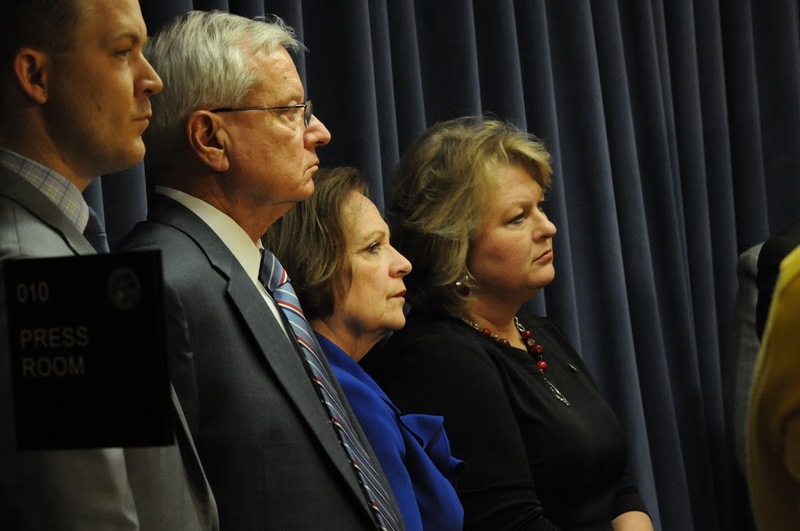 On Friday, the Illinois legislature overwhelmingly passed the legislation suggested by this group of legislators in the Illinois House with over 100 votes in favor of the bill (SB 2059) and subsequently in the Illinois Senate as well later Friday morning. Rep. Hammond has supported a number of bills this spring to fund Higher Education, each with designated funding sources. The latest proposal was passed to fund state universities through August, utilizing approximately $600 million remaining in the EAF at the end of the fiscal year on June 30. Further, the proposal is slated to provide stopgap MAP grant funding to help keep students of limited means at Illinois community colleges and state universities, in addition to over $74 million in direct funding to community colleges. “Let me be clear, this is not a permanent solution, but I strongly believe we need to get funding moving to keep our state universities and community colleges open. I am pleased that cooler heads prevailed on this issue and am hopeful the Senate will also pass this lifeline to our institutions of higher education and the students they serve,” said Rep. Hammond. The stopgap measure provides approximate nearly $15 million in funding to Western Illinois University in Macomb and an additional $5 million in MAP Grant funds to WIU students.